The Arcane Plinth is used in Summoning in the Blood Magic mod. When placed correctly with accompanying Arcane Pedestals, the player may use it to summon and tame various demons. 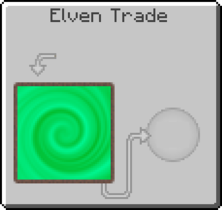 Arcane Plinth has no known uses in crafting. This page was last modified on 5 December 2018, at 09:49.